Russia uses veto power to block draft resolution pressuring Iran over its failure to block supplies of missiles to Yemen's Houthi rebels. Russia on Monday used its veto power at the UN Security Council to block a draft resolution presented by Britain that would have pressured Iran over its failure to block supplies of missiles to Yemen's Houthi rebels. The text, strongly supported by the United States, won 11 favorable votes at the 15-member Security Council but was blocked by Russia's veto, reported AFP. Nine votes and no vetoes from the five permanent council members -- Britain, France, China, Russia and the United States -- are required to adopt resolutions at the Security Council. After the veto, the council unanimously adopted a Russian-drafted measure that extended for one year the sanctions regime against Yemen, but which made no mention of Iran. Britain had sought to include in its measure an expression of "particular concern" from the council over a UN report that found Iran had violated the 2015 arms embargo on Yemen. 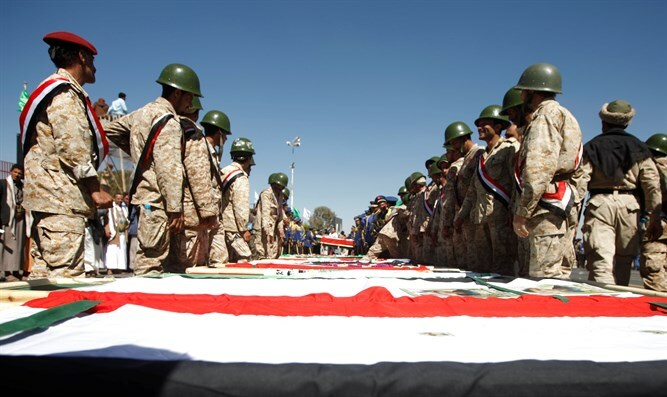 The report by a UN panel of experts in January concluded that Iran was in violation after determining that missiles fired by the Houthis at Saudi Arabia last year were made in Iran. U.S. Ambassador Nikki Haley recently brought Security Council envoys to a U.S. military base in Washington to view missile parts that the U.S. calls evidence of Iran’s illicit transferof prohibited missiles to Iran-backed Houthi rebels in Yemen. Russia dismissed the evidence presented by Haley, insisting that it was unclear whether missiles and weaponry used by the rebels were sent by Iran or whether they were shipped before the arms embargo on Yemen was imposed in 2015. After hours of negotiations to try to reach a compromise on Monday, Russia made clear it had strong reservations about the findings of the report and would not support a draft resolution that mentioned them. After the Russian veto, Haley released a statement accusing Russia of protecting "the terrorist-sponsoring regime in Iran" and warned of further action targeting Iran. "If Russia is going to use its veto to block action against Iran's dangerous and destabilizing conduct, then the United States and our partners will need to take actions against Iran that the Russians cannot block," said Haley.